Turnout position indicators on a fascia or control panel can be easily made using 3-pin bi-color (red/green) LEDs. Fortunately, driving them with MRServo is easy. 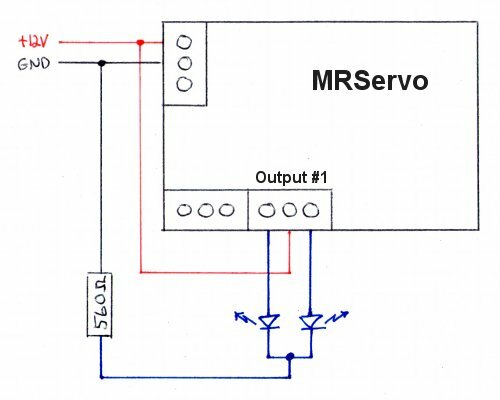 To start with, you will need either the MRServo-2 turnout controller, with 2 sets of accessory contacts, or the MRServo-3, with 1 set of accessory contacts. 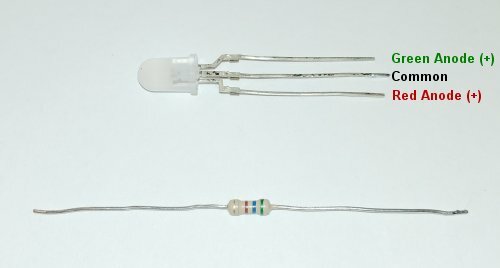 In both cases, the connections to the LED are the same. 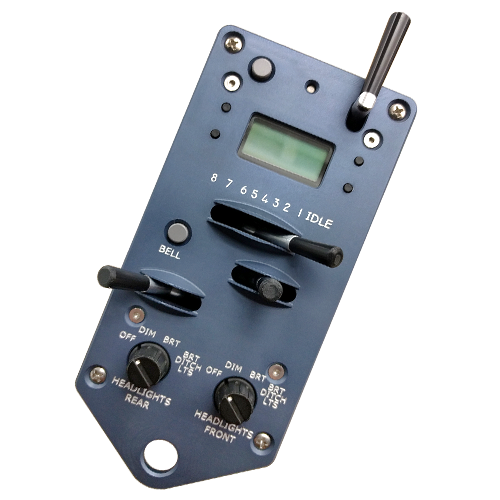 You will also need the 3-pin LED and a current limiting resistor. 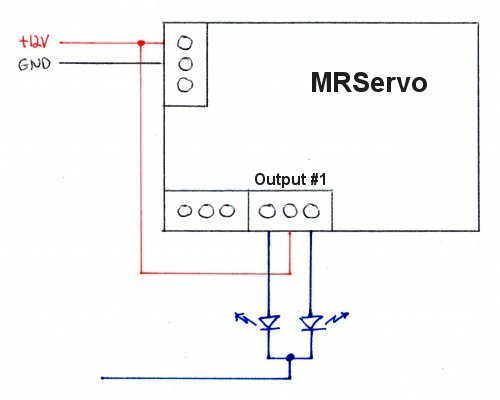 For this example, I am driving the LED from the 12V power input to the MRServo board (VDD) and using a 560Ω resistor. You may need to adjust the resistor value depending on the current rating of the LED and the voltage being being used. Also, the LED in this example is a common-cathode type. This means the more negative terminal of both LEDs are tied together inside the package and come out on the middle pin. Two individual LEDs could also be substituted for the bi-color LED and wired in a similar manner (their cathodes, or negative leads, should be connected together). If your bi-color LED is common-anode, then simply connect ground to the common/center pin on the terminal block instead of +12V, and connect +12V to the common pin on the LED instead. First, connect 12V to the COM (middle) terminal of output #1. Next, connect the two anode (positive) leads of the LED to the NOR and REV (outer) terminals of output #1. The cathode (middle pin) of the LED goes through the resistor to GND. That’s it! 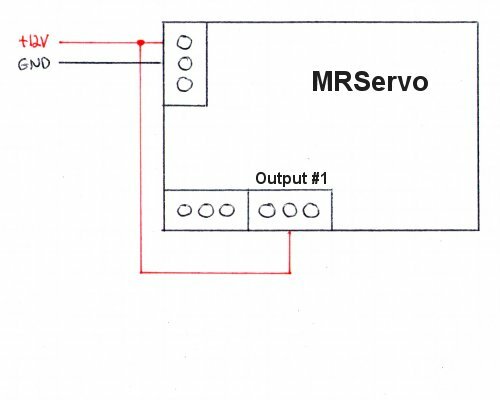 If the LED displays the wrong color for the turnout position, just swap the connection to the NOR and REV terminals of Output #1.